It has been 30 years since Southeast has added a fraternity; Greek life will receive a new addition this fall, Kappa Alpha Order. Associate vice president for Student Life Bruce Skinner said the first fraternity to be established at Southeast was Sigma Tau in 1952, and the last fraternity to be established was Sigma Nu in 1994. Evan Hanna, Associate director for Chapter Development, said Kappa Alpha was founded in 1865 on the campus of Washington College, now Washington and Lee University in Lexington, Virginia, by four men who wished to create an organization centered on values that followed the direction of the college’s one rule, that all students must be gentlemen. He said the fraternity spread to colleges throughout the region and across the nation in 1895. Each fraternity on campus has its own history, culture and traditions. Hanna said Kappa Alpha Order is the only collegiate Greek organization that initiates students of U.S. military academies. He said the fraternity’s membership includes many great military leaders, such as Gen. George Patton and Gen. George C. Marshall, authors of the plan that rebuilt Europe after the devastation of World War II. Hanna said their chapters at Virginia Military Institute, The Citadel, U.S. Military Academy, U.S. Naval Academy and U.S. Air Force Academy allow for students to become members of their order. “We also welcome any potential member to go through our recruitment process, and especially for those that already share a family bond with a member,” he said. Skinner said In order to start a new fraternity on campus, students must show interest and bring forth the idea. “Kappa Alpha Order did not approach Southeast, there were a couple students that reached out to me over the summer and wanted to start a new fraternity, and we went from there,” Skinner said. Hanna explained how Skinner invited members of Kappa Alpha’s national administrative office staff to visit campus and present information on the expansion process to students, himself and the Greek community as a whole. “After that initial presentation, we were formally invited to start our expansion and recruitment efforts on campus,” he said. This fraternity is well known within the region. 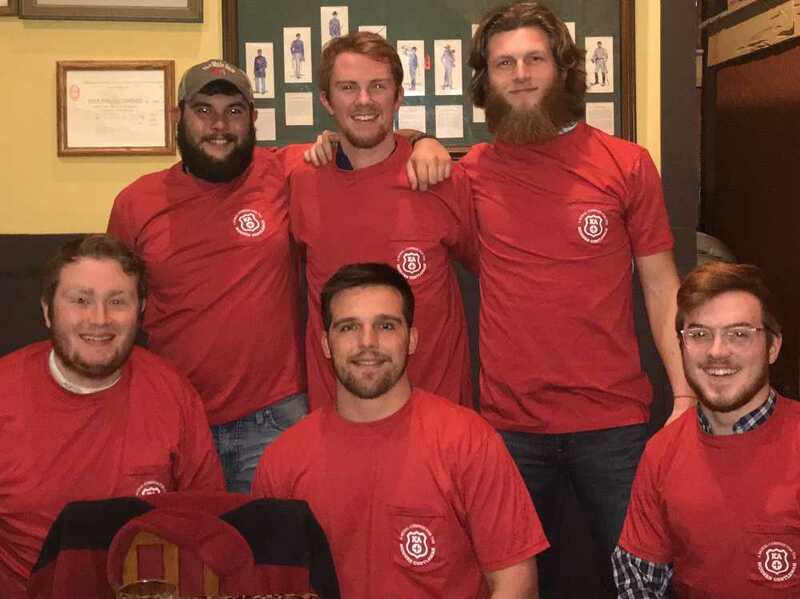 He said Kappa Alpha Order has numerous chapters within a 500-mile radius of Cape Girardeau, including Westminster College, Missouri State University and Southern Illinois University. “Southeast has been on their radar and now that we have students interested — it’s happening,” Hanna said. Skinner said they are called an interest group as of now, until they are officially colonized; whenever they meet the threshold of members they will receive their colony status and then they will become chartered. Hanna said he has been working to establish their chapter’s operational basis through extensive chapter officer training, new member education and ensuring an exciting experience for their members. He said there is no cost that goes into installing a new fraternity; Kappa Alpha provides support for educational leadership programs and each new chapter sets its own local dues, along with the individual $100 fee associated with joining. “I would expect them to get their colony status very late this semester and to be chartered in a year,” Skinner said. Once chartered, they may take part in formal recruitment. “A member from the national administrative staff will be here around that time to help prepare the members for that process,” he said. Hanna said they are expected to take part in formal recruitment in Fall 2019.